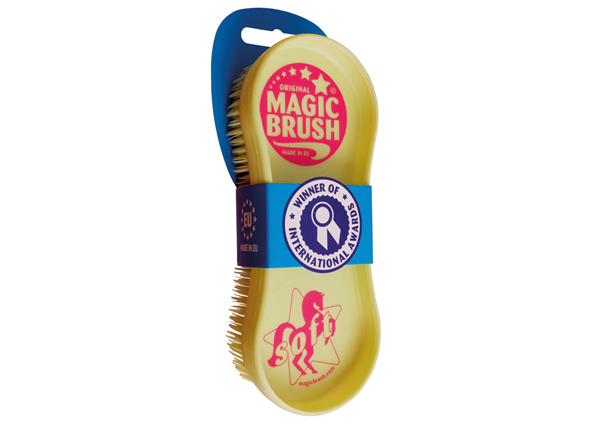 MagicBrush SOFT is the new care and cuddling brush that is ideal for the particularly sensitive areas of horses and ponies, such as head and ears. The ultra-soft Quadro bristles clean particularly gently. The gentle massage increases the horse’s wellbeing. Even highly sensitive horses and ponies enjoy care with the new MagicBrush SOFT. The cheerful colours – tropic yellow, light blue and purple – combined with the colourful prints are really fun. 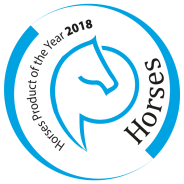 Gentle cleaning with a cuddly effect – for satisfied horses, ponies and riders. The brushes are manufactured, printed and packed in the European Union. MagicBrush – simply bright!